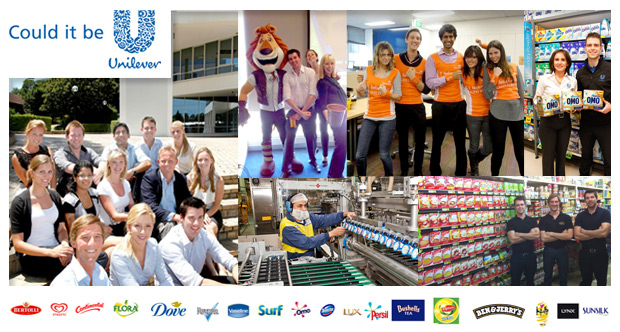 The Unilever Future Leaders Programme will see you go from graduate to manager in three years. Our graduates are dedicated, eager and passionate, doing first class work in a way that makes us proud. The Unilever Future Leaders Programme is about learning quickly, developing your strengths, and soaking up the experience of working with talented colleagues. The future we’re building will need ambitious, self-confident and skilled leaders. The Unilever Future Leaders Programme gives you the opportunity to work in the worldwide home of brand excellence where you can make a real impact. You’ll learn from the best both internally and externally to build your skills. With us, you’ll experience a rich, diverse and challenging work environment, and contribute to an international business that is truly locally connected. The programme focuses on building leadership capability and accelerating your development. You’ll take on real challenges from day one, working with experts within a structured learning environment. You’ll be in a position that lets you provide insight to the business, continually test and develop your skills, while making a genuine contribution to our business. Though you will specialise in one business area, the programme will involve a minimum of three rotations over three years. These rotations will provide you with fantastic insight into the business, as well as the opportunity to develop new skills and build a firm foundation to kick-start your career. Rotations will primarily be based in Sydney, but you may find yourself working in Victoria, New Zealand and overseas! To make the most of our programme, your mobility and flexibility are really important. Wherever you're based, you'll quickly see that each of our business areas work closely together. You'll often be part of multi business project groups, and will spend time connecting with consumers and customers to really understand our business works. You’ll follow an extensive development programme designed to support you on your journey. The Programme is focused on developing your business, general and leadership capabilities, through classroom learning, online learning, workshops and carefully planned on the job experience. You will also be involved in, working on projects deigned to deliver impact through sustainability. We'll pair you up with a recent graduate who will be your buddy, to help you settle in and learn from their experience. You'll also be assigned an experienced senior manager as a mentor, who will help you improve your performance. And every day will come with a range of support and coaching from your line manager, buddies, HR advisors and other colleagues.